Actually, it goes to 200MHz. Big difference. I own the original MiniVNA version and it goes up to 180MHz. One drawback of that older version is that it cannot detect the phase sign so all the Smith charts are horizontally reflected. Interesting Alan: The miniVNA PRO on AliExpress from your link is $320 vs. $490 at HRO from the mRS exclusive distributor in the U.S. WOW! What’s up with that? Is the AliExpress thing a Chinese Clone/Fake? Sigh, the lowest frequency is to high for anything i want to do at home (need to go down to DC for system characterization for control loops). The highest frequency is too low for most things I need to do at work. Have you seen the CircuitGear CGR-201? 1Hz to around 1MHz in VNA mode, and a lot cheaper than the miniVNA. Seems like it would be handy for control loops, but I’ve only used it for filter analysis. I’ve got a CGR-101, it’s been with me for a long time. I’ve gotten a bunch of higher bandwidth equipment since then but it’s still handy sometimes. Over at HGR surplus they have been selling some old HP VNA’s that start out at 10hz. You could use the Digilent analog discovery 2 for 5MHz and below. I’m just making an adapter add-on for doing network analysis easily. Uses the same principles but at lower frequencies. Check it out. Might be what you need. I tried all the rtlsdr, hackrf, and other bodged together with directional coupler scalar network analyzers but the real problem with those is calibration. Calibration is hard and without it you just get bonk results. The PocketVNA makes calibration a very simple and intuitive process. That is a really interesting blog! What kind of calibration options are available for these things? Cal kits for the network analyzers I work with are usually $5k and up. Granted, this is for equipment that goes up to K-band and beyond. But if I still have to shell out that much for cal standards, kinda defeats the purpose of spending so little on the analyzer itself. I could probably fabricate open / short / load standards, but they’d be narrow-band, and I’d need access to a better NWA to characterize them before defining the cal kit. Probably the priciest item in such a cal standard set would be the “sliding load”. (Not to mention just a 50 ohm load with SWR < 1.05). But I doubt these tiny units go to the effort of calculating the imaginary locus of a perfect 50 ohm load like the commercial VNAs do. The rough equivolent of these units would have taken a 6RU footprint back in the 80s…. Maybe, maybe not. There weren’t really any low-end VNAs at the time. The VNAs from the ’80s were certainly behemoths, but they still radically outperform these offerings. Consider the 8753B, a mid-range product: 100 dB of dynamic range, source power variable from -5 to +20 dBm with continuous sweep from 300k-6GHz, input crosstalk better than 100 dB, dynamic accuracy of +/- 0.05 dB and 0.5 deg over a 50 dB input range, etc. Most of these devices spec none of these things, let alone approach those specs. One of the best “quality/price” ratio is, imho, the DG8SAQ “VNWA”, with an impressive documentation and a top quality (closed source) user interface. Far more evolved compared with the different software available for the mini-VNA. 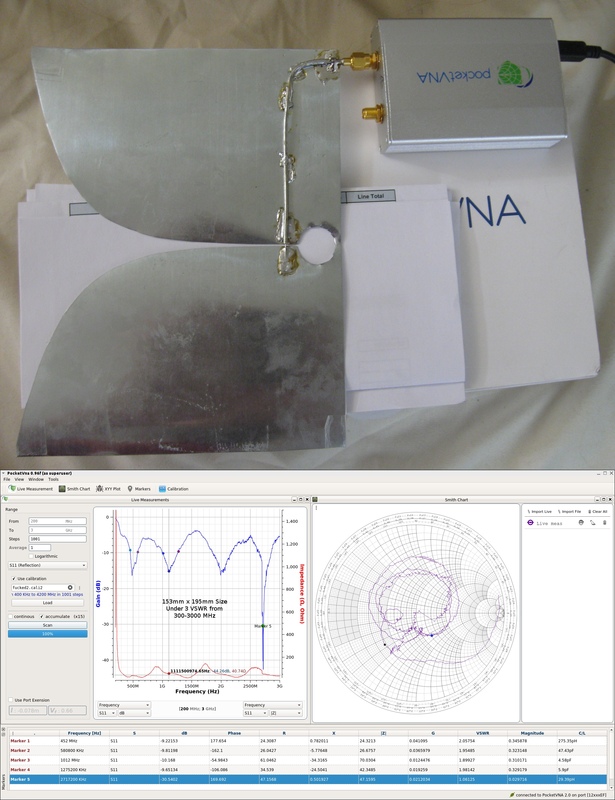 But, in the Ham world, the best VNA ever with the most impressive precision and dynamic is definitely the N2PK (which could be used with many softwares, including the one made by DG8SAQ). 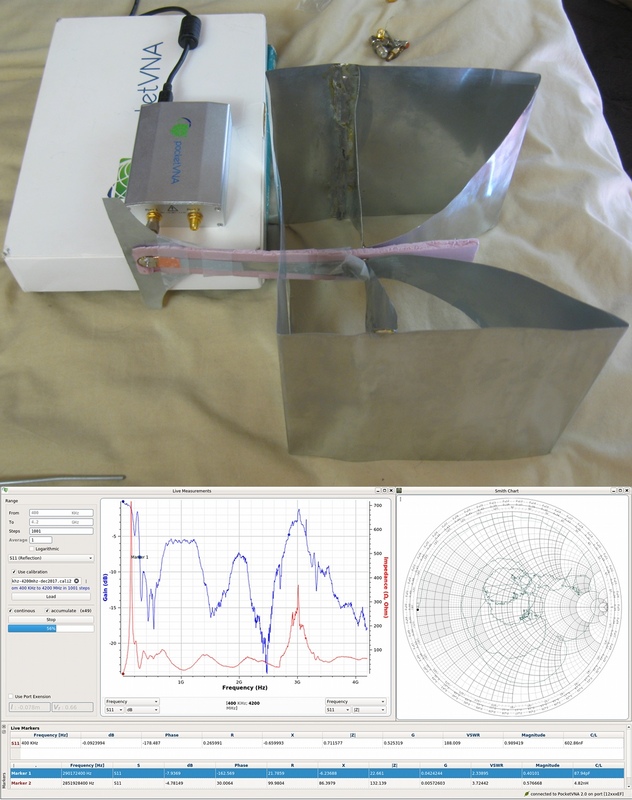 A little bit more complex is the “Scotty’s modular spectrum analyzer” which is a VNA also, and covers all frequencies from .1 to 3000 MHz. I’ve used all of these instruments and kept the vnwa, the MSA and N2PK… and sold asap the mini-vna.